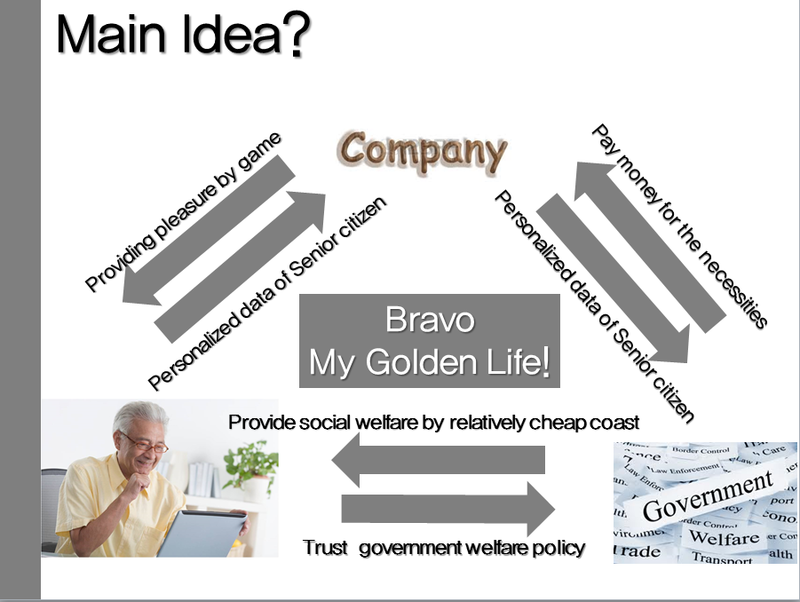 [2014.9.1 ~ 2014.10.20] I designed the game “NOSSE- NOSSE” in Korean which is translated into “Bravo my golden life”. ‘NOSSE- NOSSE’ can be directly translated into ‘Enjoy and Enjoy’ in Korean. However, the expression is often used to cheer senior generation in Korea. 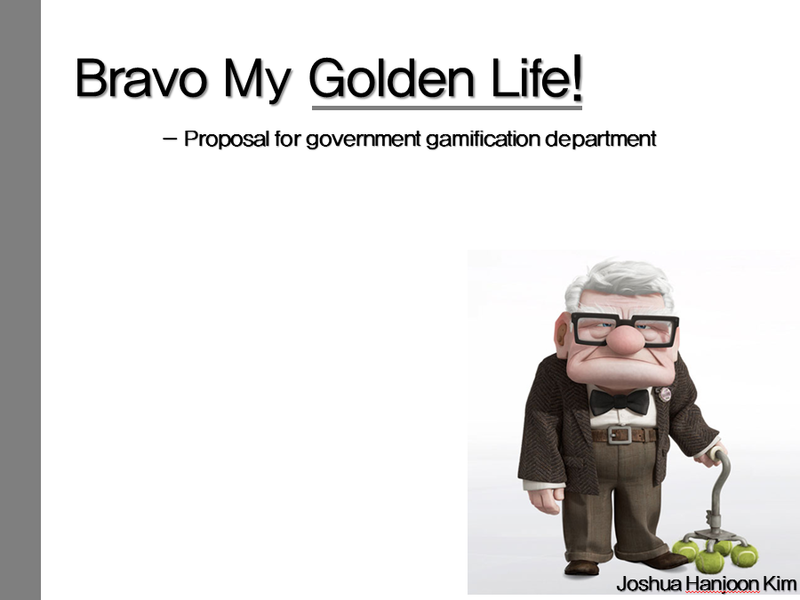 So, the English title was named as ‘Bravo my golden life’. 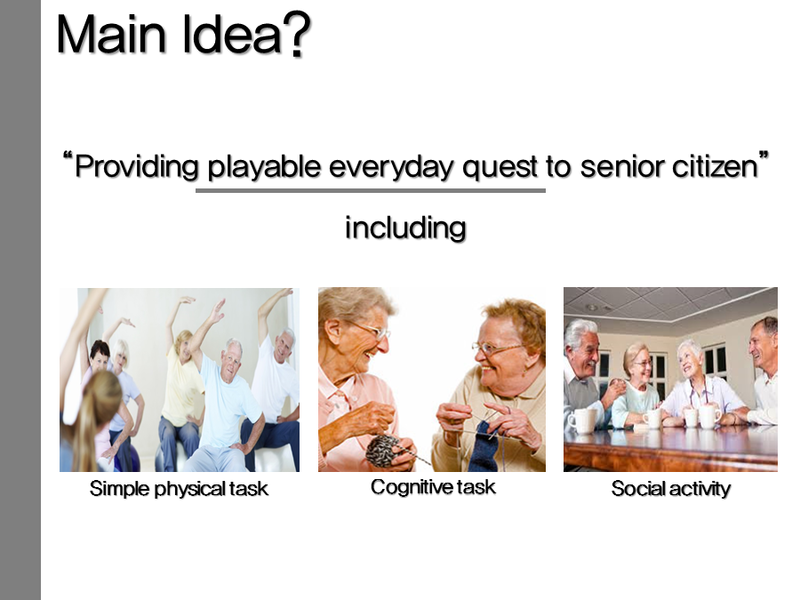 The purpose of game is to encourage cognitive and social activity of elderly people while playing the game. The game provides player with everyday quest, and they get virtual money when quests are completed. 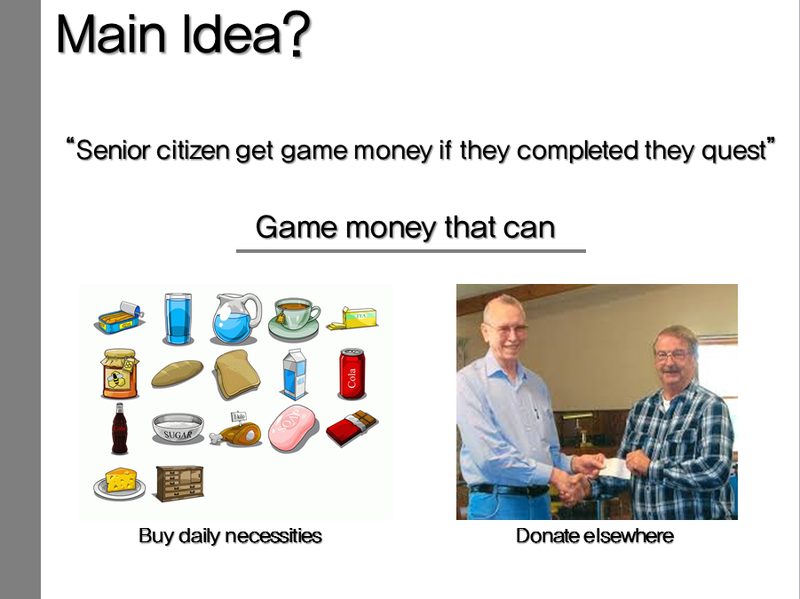 With the virtual money, players can either buy daily necessities, or donate them. The high ranking players with good amount of donation can be recognized on TV or online media to encourage the sense of pride and participation. ← [2014.8.1~ 2014.10.25] I worked as planner and MC of 10th anniversary event of Hanyang University Cultural Content department.